Nearly ten years ago when Marlene first met Liz, their future as a couple seemed so bright. They shared a vision that included a house and a child. Unfortunately, they never talked about the details. For Mark and Juan their future as a couple was just as promising. Sharp looking and invited to all the right parties, they sat on the top of their world. That was before the waiter. And the violence. Marlene and Liz and Mark and Juan are real people who’s names and circumstances have been altered for this article. I met them when they came to mediation, seeking the dissolution of their unhappy relationships. Mediation is a confidential form of dispute resolution in which the participants relate their conflict directly to a mediator who acts as a neutral third party. 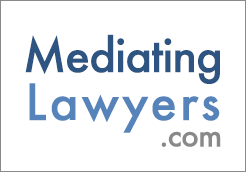 Because it is less adversarial than litigation, mediation allows the parties to be active rather than passive participants in the creation of a mutually satisfying resolution to their conflict. Marlene and Liz and Mark and Juan came to mediation because their intimate relationships are not acknowledged by our legal system. Through mediation they were seeking a fair and equitable closure to their unions. Reviewing their situations might help us all find a better way to couple, giving our relationships a better chance to survive. When you start to explore becoming a couple, you bring all your hopes and expectations and good intentions with you and project them onto the other person. When you look at each other, you rarely see your beloved. Instead you “see” the person you want your beloved to be. When in time the real person emerges, you are disappointed. You can try to mold your partner into your dream person or stay silent in your frustration, wishing that one day your fantasy person will emerge from this “stranger” sitting across from you. Left to fester, these false expectations are fatal to a relationship. When Juan first laid eyes on Mark, what did he see? A young, vibrant, strikingly handsome man whose presence in his life would make him part of a great looking couple, attracting the envy of all their friends? Being involved in a career where all things physical are held in high esteem, Juan instinctively knew that Mark was a real catch. And what did Mark see? A man who was slightly older, not as handsome but attractive in an off beat way, and rising in his glamorous profession filled with beautiful people? Becoming Juan’s partner was an opportunity for Mark to enter this world. Besides, he was so in control and Juan was always at sixes and sevens. They had something to offer each other. So they fell in love. The first year was perfect. Then Mark told Juan about his casual tryst with the waiter, just one of his several short term encounters during their first year as a couple. In a word, Juan went “ballistic”. He accused Mark of betraying him. He thought their relationship was monogamous. Unfortunately, they never spoke about this because Juan assumed Mark felt the same way. Gone was the beautiful man Juan had “married”, replaced by someone he hardly knew. Meanwhile, a calm Mark couldn’t understand why Juan was so upset. What difference did it make if he played around? He loved his sweet, disorganized, and highly emotional lover. In his mind, he was still being faithful. “What’s the problem?” he asked. Believing he could win over his lover to his point of view, Mark brought home a young man for both of them to enjoy. “Just try it,” he urged. Reluctantly, Juan participated and seemed to enjoy the experience. Mark was sure that everything was just fine...until Juan fell in love with this new playmate. Still believing in monogamy, he announced to a shocked Mark that their relationship was over. Mark’s calm, controlled exterior started to crumble and he found himself becoming jealous, then angry, and finally rageful. Late one night he exploded. His fists pummeled Juan, sending him naked and bleeding into the street, shattering their once golden relationship into pieces. No amount of regret and tears would ever heal the wounds. How could something that seemed so perfect become so ugly? What would have happened if they had discussed monogamy at the beginning of their relationship? Would they have looked at each other differently? Could they have avoided the pain and violence that over took their relationship? When we couple, we often believe that it is our partner’s role to make us happy and satisfy all our needs. Amazingly, we don’t even have to talk about it. It’s just assumed, like Mark and Juan. Why? Because we love each other so much, our partner will know exactly what we want. It’s suppose to work something like mental telepathy. Unfortunately, it’s more like a time bomb, waiting to explode. Communication is the lifeline of any relationship. If you don’t ask for what you want, you won’t get it. If you don’t make your needs known, you will never know if your partner is capable or incapable of meeting them or is just not willing to satisfy them. Ask Marlene and Liz. At the mediation where I met them, these two women were no longer living together. Across the table, they talked about all the things they should have been discussing during their ten years as a couple. For example, thanks to Marlene’s father, they got a house. However, Liz thought her share of the monthly house payment was buying her joint ownership of the property. At the mediation she learned that Marlene didn’t see the arrangement this way. Instead of being an equity investment, she said, Liz and she were paying rent to her father. Why didn’t they talk about the financial arrangement before they moved into the house? Why hadn’t they drawn up an agreement with Marlene’s father that clearly stated the arrangement? After all, there is a great difference between an equity investment and rent. Somehow it was assumed that both women and Marlene’s father understood the arrangement. Marlene and Liz had shared the dream of becoming a family. Through donor insemination, Marlene gave birth to “their” child, Darren. For the next several years, every time Liz brought up the subject of adopting Darren, Marlene demurred. Liz didn’t push the issue, thinking it would somehow all work out. Adoption papers don’t “work out.” They need to be filed.Why hadn’t they discussed this before Marlene was inseminated? Maybe deep in her heart she didn’t want Liz to be her child’s legal parent? Maybe Liz didn’t really want the responsibility of caring for a child? Meanwhile, Darren was born and now bonding with both women. Their separation was having an emotional impact on a child who would live for much of his life with the consequences of these two women’s unconscious actions. These were only two of the many issues that arose during the mediation. For several sessions, their anger, tears, bitterness and rancor filled the room. Years of relationship neglect spilled out as each woman explained how she was the victim of the other. Suddenly, several sessions into the mediation Marlene announced that she and Darren were moving back in with Liz. Given what had occurred between them, what would the nature of their relationship be - friends, lovers, roommates? In truth, they didn’t know because they hadn’t really thought about it. They were acting as unconsciously as they always had, surely a recipe for another disastrous interlude in their already soured relationship. How can two people be a couple for so long and still not communicate? If they had talked about their expectations and intentions during their decade together, would their relationship have ended this way? What can a couple do to create an environment in which their union has a chance to survive? First and foremost, the partners must enter their relationship consciously. They can do this by acknowledging their expectations of each other and separate the reasonable ones from those that are false and unrealistic. Next, both partners must take responsibility for their roles in creating this union. And lastly, they must communicate. There is even a model that can help initiate this process. It goes by various names: a “Pre-Nuptial Agreement”, a “Co-Habitation Agreement” or a “Living Together Agreement.” By using this kind of formal agreement, you and your partner give yourselves the opportunity to create a relationship that is meaningful to both of you. Given that our legal system does not recognize the legitimacy of same gender relationships, with a Living Together Agreement you can create a document that acts like law and has even been recognized in some courts of law. With the guidance of a mediator or lawyer, you can lay down the bedrock on which your union will be built by expressing your expectations and defining your rights and obligations. This conscious act at the beginning of your relationship can make the difference between a happy or an unhappy ending. A Living Together Agreement helps facilitate communication between you and your partner. You can assert that your relationship is going to be monogamous. If not, you can establish the formula by which third parties will be allowed into the relationship. If one partner is moving into the other’s house, you can clarify if your monthly payment is an equity investment or rent. If you are going to have children, you can delineate what each partner’s roles will be in supporting your child and your intention to have the non-biological parent become legally responsible for the child. With a Living Together Agreement you can state each partner’s financial responsibility. You can establish whose credit cards will be used and how will they be paid back, who’ll be responsible for paying the bills and how will they be paid, who walks the dog, takes out the garbage, cleans the apartment, washes the dishes, cooks the meals, buys groceries, and all the other activities that lubricate a relationship and make it run smoothly. And if the relationship should dissolve, a Living Together Agreement can indicate the formulas for dealing with future conflicts. Who gets the lamp your mom gave you when you moved in together? What about the dining room table and chairs you bought together? What property is jointly owned and how will it be divided? And when you are no longer a couple, how will the left over bills be paid? Unfortunately Marlene and Liz and Mark and Juan’s relationships are history. But what would have happened if each couple had written a Living Together Agreement? Would they still be together? If not, could it have reduced the bitterness and resentment that accompanied their divorces? We will never know. But when we openly acknowledge and agree to the ground rules of a relationship, we are better prepared for the journey. While becoming a couple under the umbrella of a Living Together Agreement does not guarantee that we will all walk off into the sunset with the partner of our dreams, it is surely a better way to start down the path of couplehood than relying on false expectations and mental telepathy. If you know what you are getting when you sign on the dotted line, you just may stay together until death do you part. Postscript: I have developed a "Living Together Worksheet" which I will gladly send to you for free. Just send me your full address via e-mail: sbarry@resolvenow.com and I will put it into the snail mail. "I find your material provides me with both food for thought and a source of valuable information and opinions on dispute resolution. Regards"